I share with all my readers infographics # Top10Cocineros1T2015, the best chefs in Spain on social networks in the first quarter 2015. Spanish chefs compose those that are most relevant in number of followers on both Facebook and in Twitter, and in the case of Youtube that have gotten the most views on their video channels. 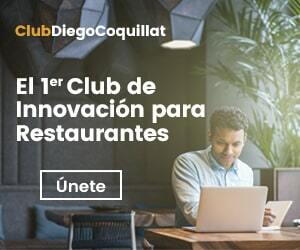 Director and CEO of DiegoCoquillat.com, teacher, consultant, lecturer and entrepreneur incorrigible. If you can not find it here, search near the sea. Passion for new technologies and restaurants ... passion for life.